The Order of Malta’s Lebanese Association runs three day-care centres and five ‘warm home’ centres for the elderly in rural areas across Lebanon. For elderly people in rural areas, the exodus of young people searching for jobs in the cities, brings loneliness and isolation. These day care centres welcome 1,168 elderly people from 55 local villages and prepare over 30,000 hot meals a year. They play a vital role providing medical advice, healthcare and food packages, however it is the sense of care and belonging that they provide which often means the most to those they serve. Rizkallah is 75 years old and has been suffering from chronic respiratory deficiency for many years. He lives with his wife, Hdiyye, few minutes from the Order of Malta’s Community Health Centre in Kefraya. Due to a lack of governmental support, Rizkallah and Hdiyye’s situation is precarious and their home feels cold and humid. As Rizkallah has a difficult time breathing on his own, he requires medical assistance and needs to rent an oxygen dispenser, alongside the number of medication both him and his wife require. This imposes an additional cost to his already unbearable monthly expenses. 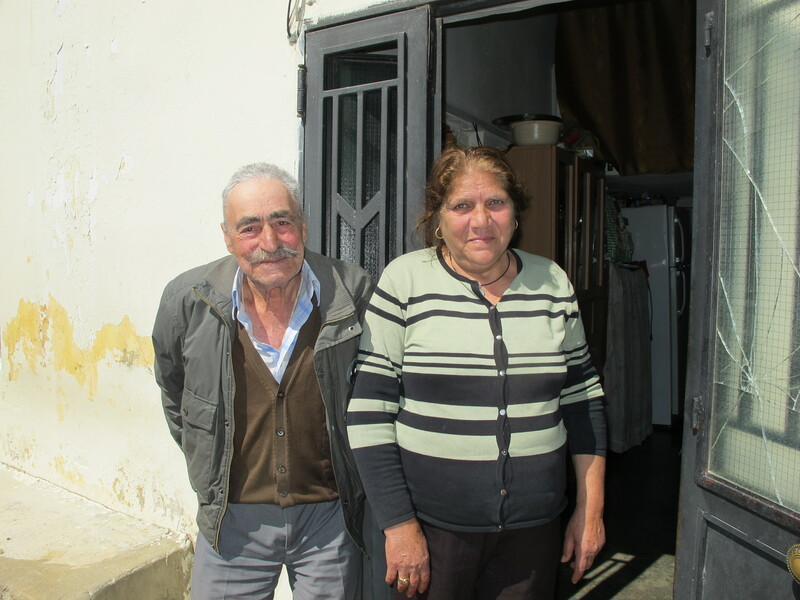 “I used to go to the Community Health Center in Kefraya for many years. Now my health condition no longer allows me to step out of the house and so it is the Center that comes to me” says Rizkallah with a shy smile. Both Rizkallah and his wife used to benefit from medical assistance at the Order’s centre, receiving diagnoses and their prescription medication. They also enjoyed spending time there: “The center helped us create a support network in our village. We had such good times there. The few hours spent there were truly a breath of fresh air”. Today, their health requires thorough medical follow-up and regular medication. The Order of Malta provides the medication needed, as well as food and sanitary packages, without which they would not be able to afford to eat. “The medical assistance brought concrete physical relief where needed, but it was the social activities at the Order’s Centre that used to offer us emotional and mental equilibrium” said Rizkallah. Today, the home visits and continued medical assistance offer the couple a sense of continuity and mean that the care and compassion of the Order still reaches them in their home. When we reach the home of Chakiba, she is expecting us. Dressed in black, as she has lost her mother a few months back, Chakiba puts on a courageous smile and invites us into the house for coffee. As we enter into the living room, we are greeted by her step-sister Najat and her father-in- law Youssef. 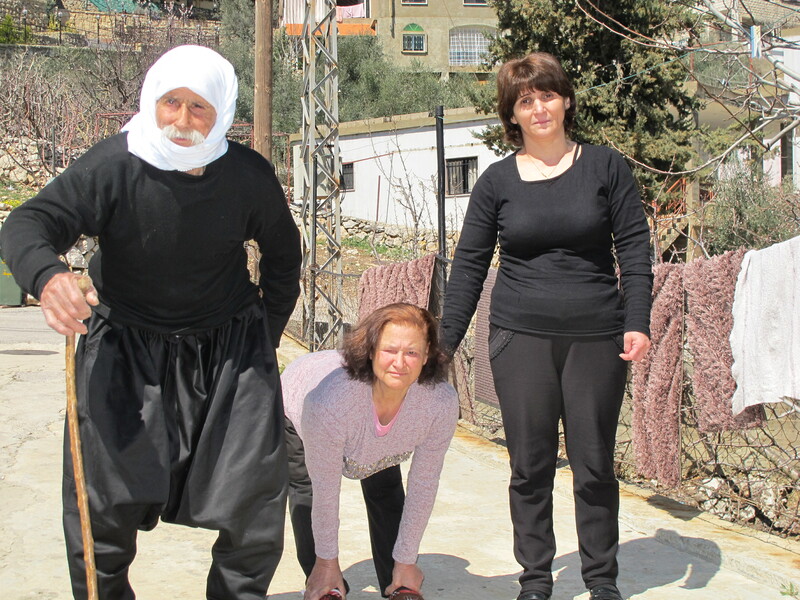 Najat walks as if she crawls, using her two front hands for balance. She sits and redresses her back to face us. She’s only 60 years old but looks a lot older. Najat has not been able to walk since contracting polio at four years old. Youssef is 85 years old and lost his right leg many years ago, which forced him to stop working and meant that he could no longer provide for the family. Although Wafik, his son and Chakiba’s husband, has a heart condition, he’s currently the main provider for the family. Due to the economic situation in the country, their eldest son had to leave university and also take on a job to help the family get by, while his younger brother finishes school. Chakiba’s daily life consists of taking care of her husband’s family sincerely. The Order of Malta’s centre provides the family with social and medical visits. Youssef used to go to the centre in person, for medical support and to participate in the elderly activities, however he can now no longer leave the house. Najat has never taken part in the social activities provided by the centre as she is too uncomfortable with her disability and prefers to shy-away from all social gatherings.